Why Yoga with Music ? Even some of the distinguished names in the field of yoga such as Kabir, Meera Bai and Tukaram have been regarded as the enlightened soulds who drank the elixir of music. The goal of yoga is to unite to our individual soul to the Supreme Self. Likewise, the goal of music is believed to lead one to the state of complete bliss and divine state which has close implication with the idea of connecting to the source. 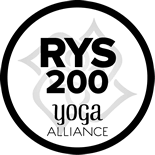 It is because the concept and state of bliss has profoundly interlinked with the state of yoga. In this regard, the relation of yoga with music can’t be eschewed. In general sense, the yoga has been understood as the medium to make one healthy, fit and fine with flexible body and balance mind by practicing asanas. Indeed, this is not accepted as the complete meaning of yoga by the experts in yogic tradition. Taan on 16 beats based on raga and one Nepali folk tune preparation. 16 beats introduction and its composition. simple kayada and its variation. It includes Different kinds of composition in different taals, knowledge of accompany with vocal and instruments. It includes 15 minutes solo performance with Uthan, Kayada, Rela and Tudka. 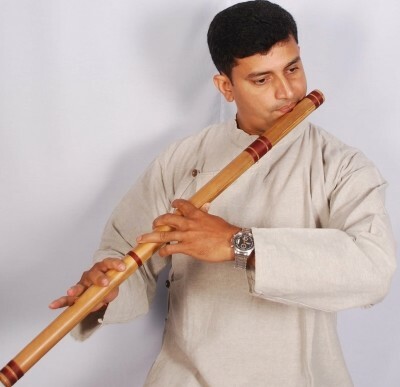 Youth Flutist Mr. Khem Raj Uprety has completed his Post-Graduation in first division from Banaras Hindu University, Vanarasi Read More..
Mr. Madhusudan Gairapipli is a young Nepali Tabala player. Initially Mr. Gairapipli was taught Tabala by renown Nepali Tabala player Mr. Atul Prasad Gautam	Read more..
Mr. Yatiraj Adhikari is first Nepali post graduate in Violin. Mr. Adhikari has completed his post-graduation from Bhatkhande Music University	Read More.. Youth Flutist Mr. Khem Raj Uprety has completed his Post-Graduation in first division from Banaras Hindu University, Vanarasi . Mr. Uprety has also completed pravakar from Prayag Sangeet Samiti, Illahabad. He is disciple renowned flutist Mr. Gopal Dev Ghatani. Mr. Uprety has performed his musical stage presentations in Nepal as well as India. He is also involved in social service being chairperson of Chandra Shekhar Sita Uprety Memorial Foundation (C-SUM Foundation). Mr. Madhusudan Gairapipli is a young Nepali Tabala player. 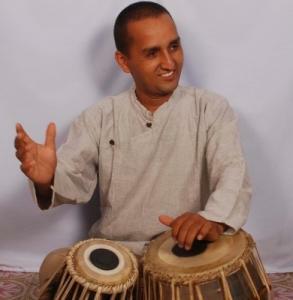 Initially Mr. Gairapipli was taught Tabala by renown Nepali Tabala player Mr. Atul Prasad Gautam and accomplished his post-graduation in Tabala from Banaras Hindu University in first division. Mr. Gairapipli has been teaching Tabala in tribhuban University Central Department since last five years. He also has performed numerous stage presentations in Nepal as well as India. Mr. Gairapipli is involved in different musical associations in Nepal. He is the secretary of Atul Smiriti Gurukul and also founder member of Gharana Music Foundation. Mr. Yatiraj Adhikari is first Nepali post graduate in Violin. Mr. Adhikari has completed his post-graduation from Bhatkhande Music University, Lucknow and won gold medal. 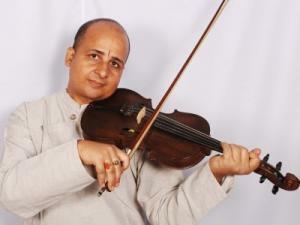 He is disciple of renowned violinist Dr.N.Rajam. Mr. Adhikari also has received Nepal Vidya Bhusan by Hon. President Mr. Ramvaran Yadav. Mr. Adhikari has performed numerous stage presentations in India and Nepal and recently, he has been teaching Violin in Shreejana College of Fine Arts since last two years.